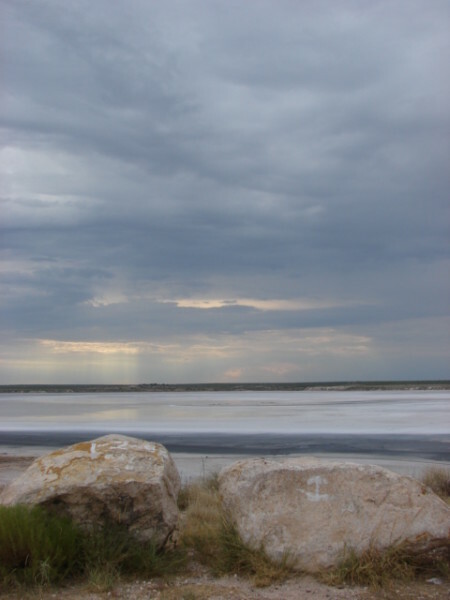 Read the related essay for more background and information about this daytrip to Shafter Lake, Texas and Lovington, New Mexico. 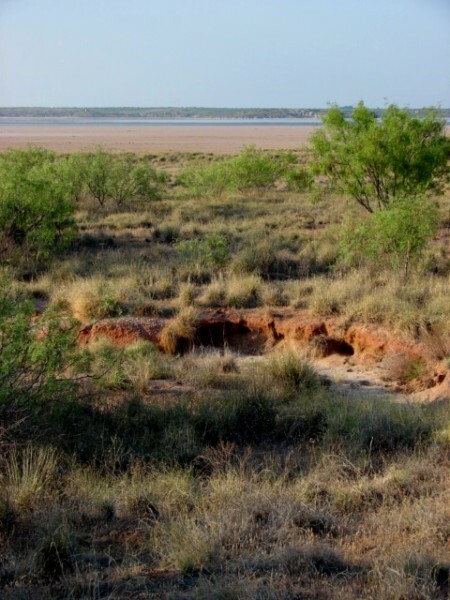 As a person drives over the western Llano Estacado, small playas are a common feature. Most of the playas are thirty to forty feet deep and cover less than 100 acres of land. Many are almost circular, and some, like this one, (east of Goldsmith) have been modified to have a deeper pond in the center to hold the water even longer for livestock. 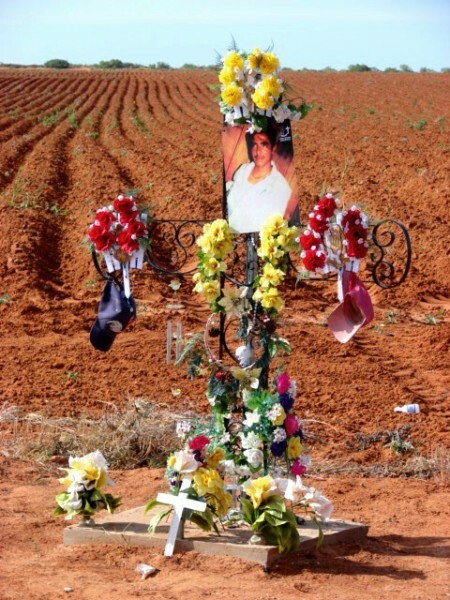 I admire the dedication of people to the memory of loved ones. This descanso has a concrete base. Descansos are another form of folk art - creative thought applied to a purpose. 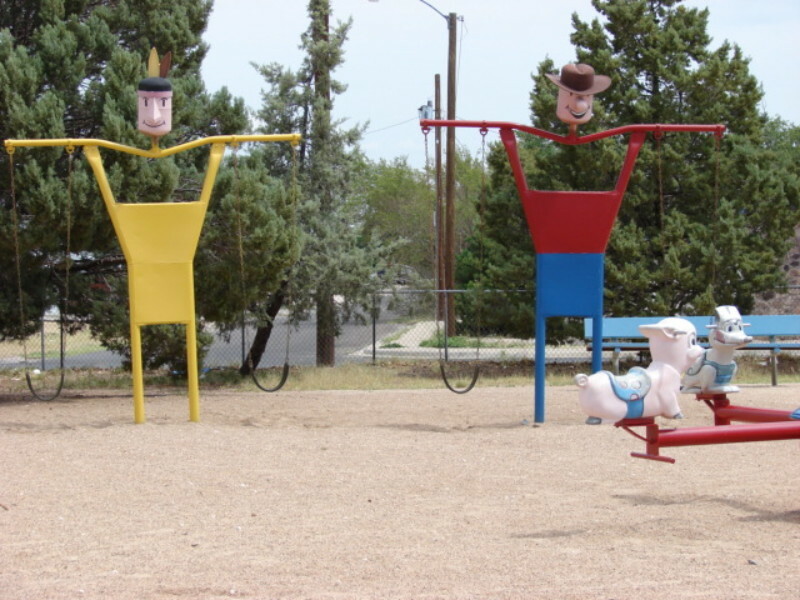 At a church school in Hobbs a simple swing set becomes folk art. When people create unique responses to every day needs, a beauty that reflects the human spirit becomes evident. Even the construction of houses and farm buildings can become folk art, as well. This house is a landmark - a memorable sight that people refer to in giving directions. 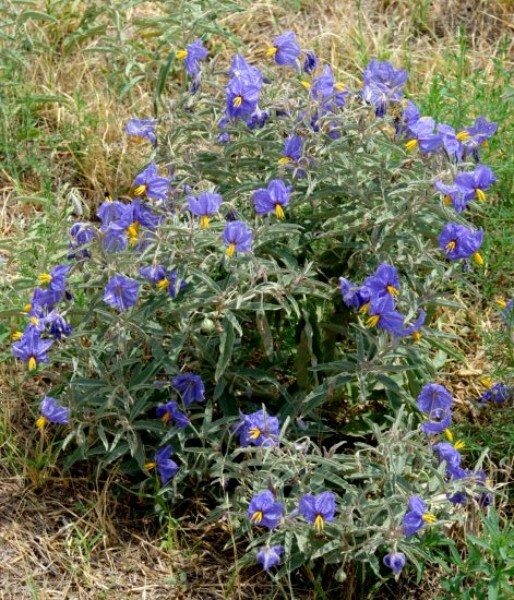 Purple nightshade is hated by gardeners - herbicides do not kill it permanently, and it has sharp spines on its stems. The blooms, however, are beautiful, and this was a particularly dark one. 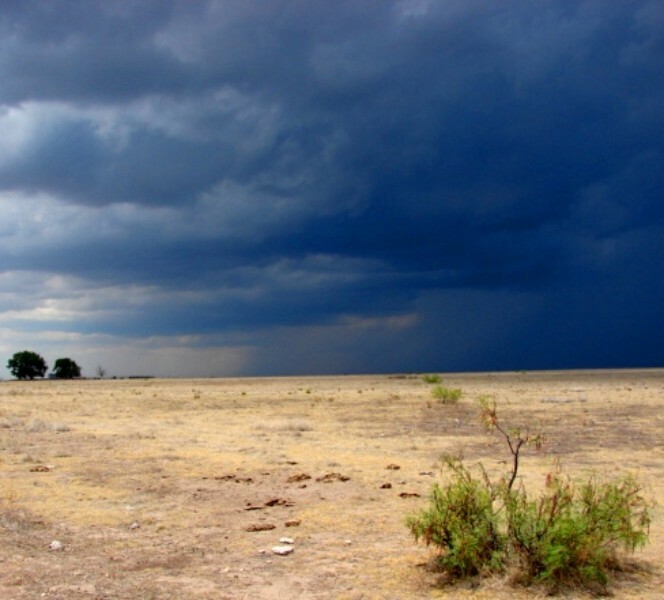 The western Llano Estacado, north and east of Lovington, New Mexico, is shortgrass prairie. 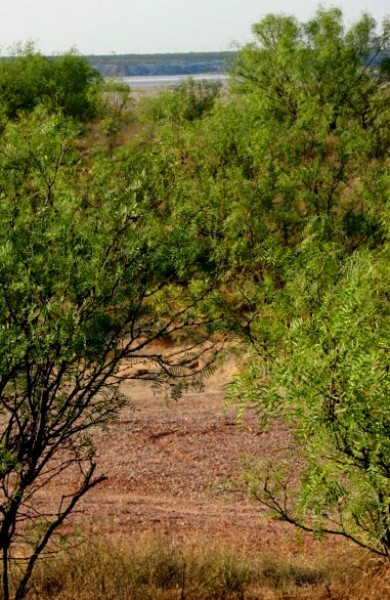 In 2006, drought has blasted the vegetation. The black thunderstorm looming in this photograph never reached the pasture in the picture, but five miles east more than an inch of rain fell in 30 minutes. 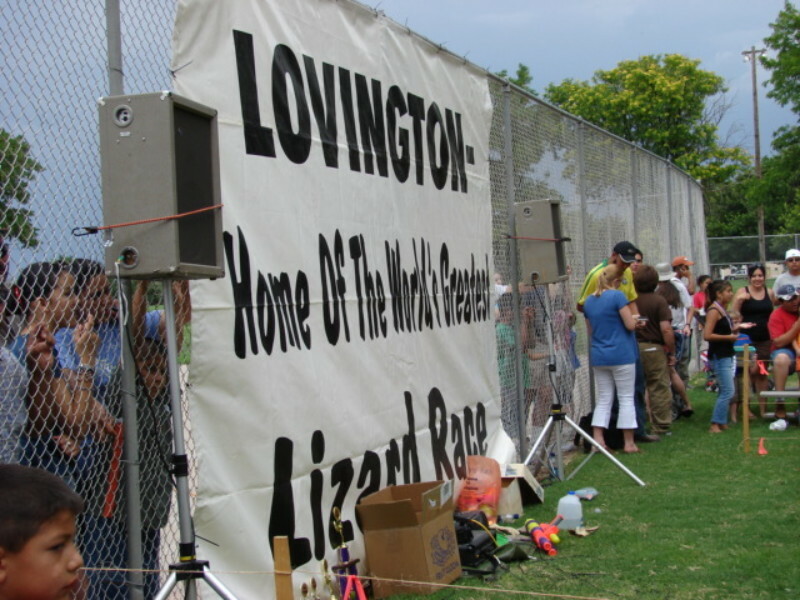 In Lovington on the 4th of July, citizens stage lizard races. 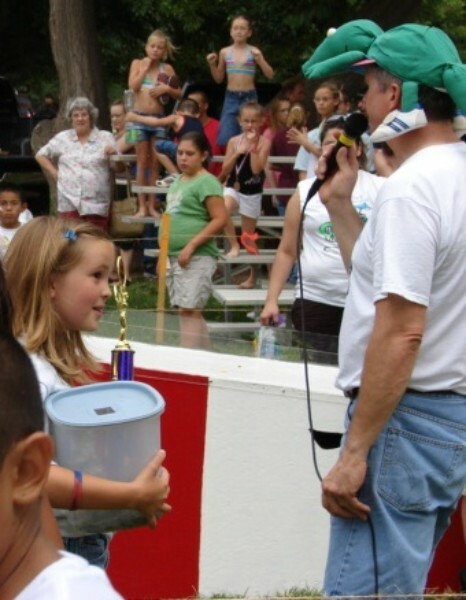 Andrews, Texas stages box turtle races on the same day as well. 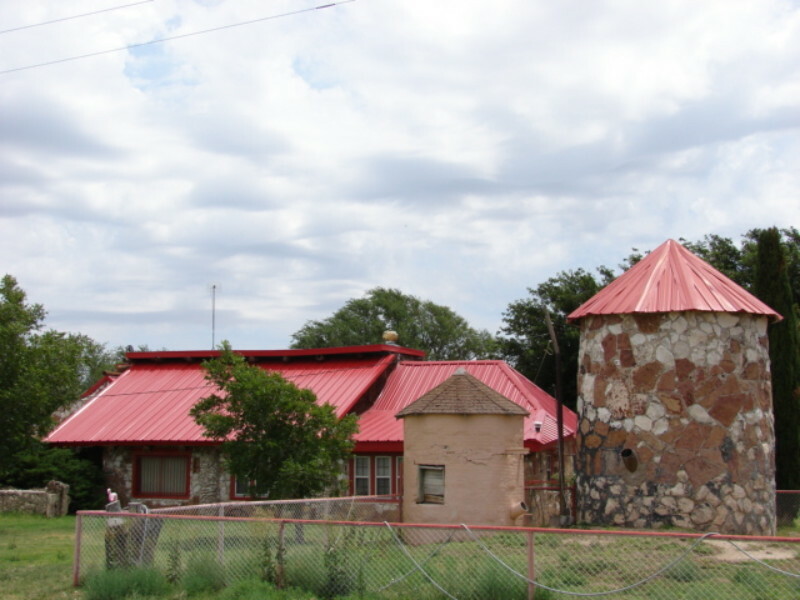 In the 1930s the town of McCamey staged a rattlesnake race. One young man did not realize a salamander was an amphibian, not a lizard, but was allowed to enter it anyway. Salamanders stay underground most of the year, and lay eggs in ponds. They eat at night, eating earthworms and other nightcrawlers. 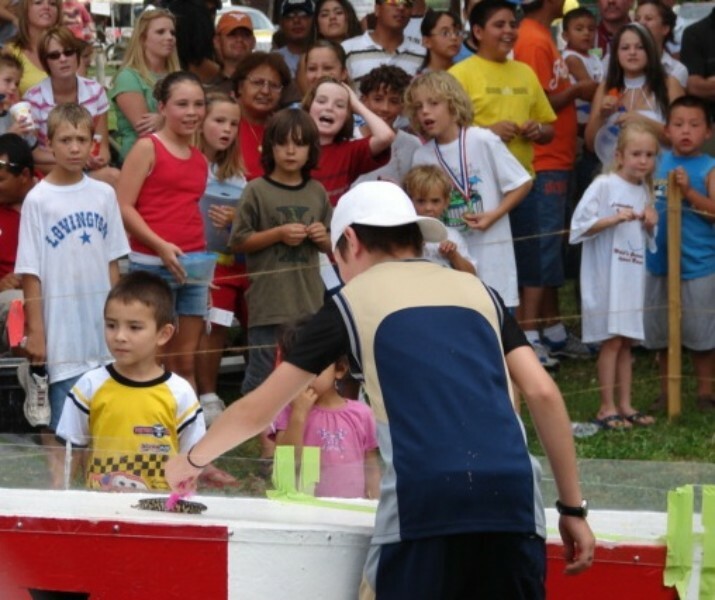 The race is a great kids' event. This year's winner was a young girl. 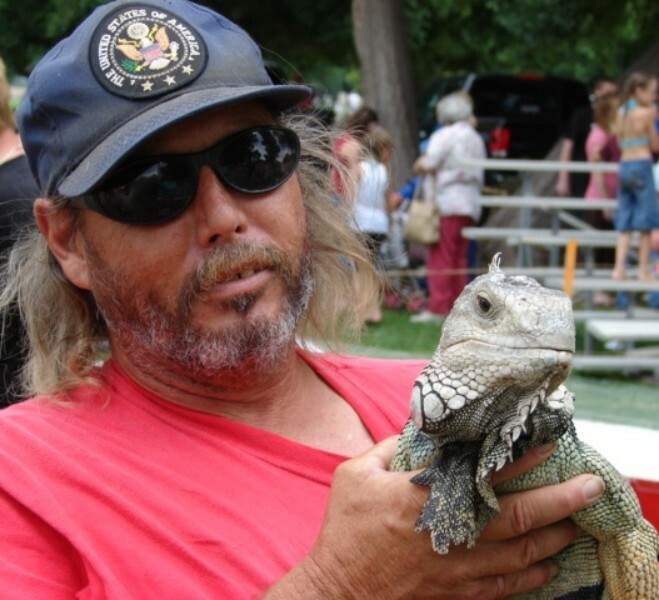 The man with the green lizard hat was the emcee - who shot water on the spectators, played music, and gave a running patter on the contestants. The Lovington Park has a small fishing lake, and a little acequia (irrigation canal) through the park. 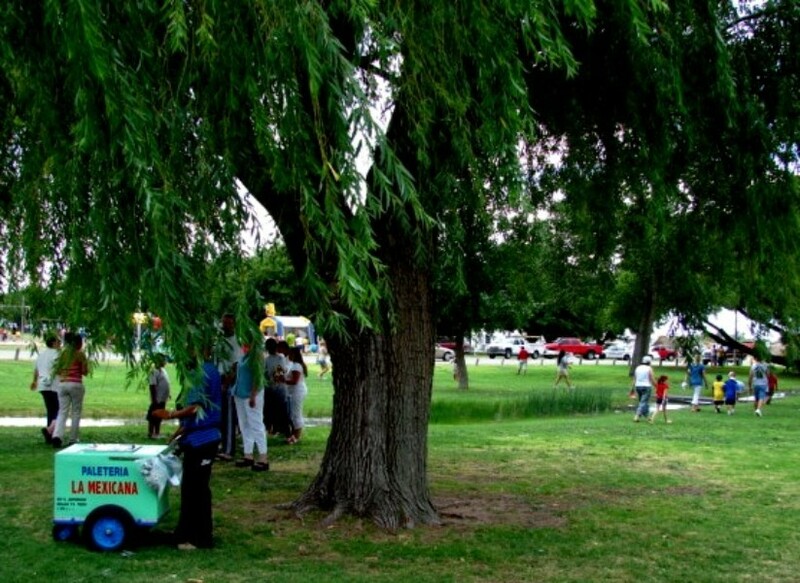 Under one of the trees, an enterprising man had his palateria cart, selling tasty icy treats. 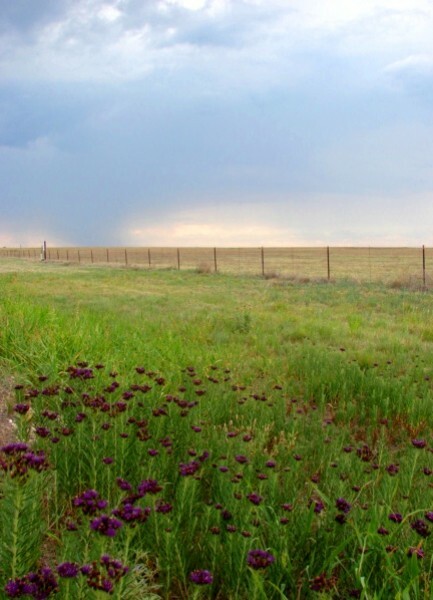 Another roadside playa east of Lovington had a population of Ironweed. 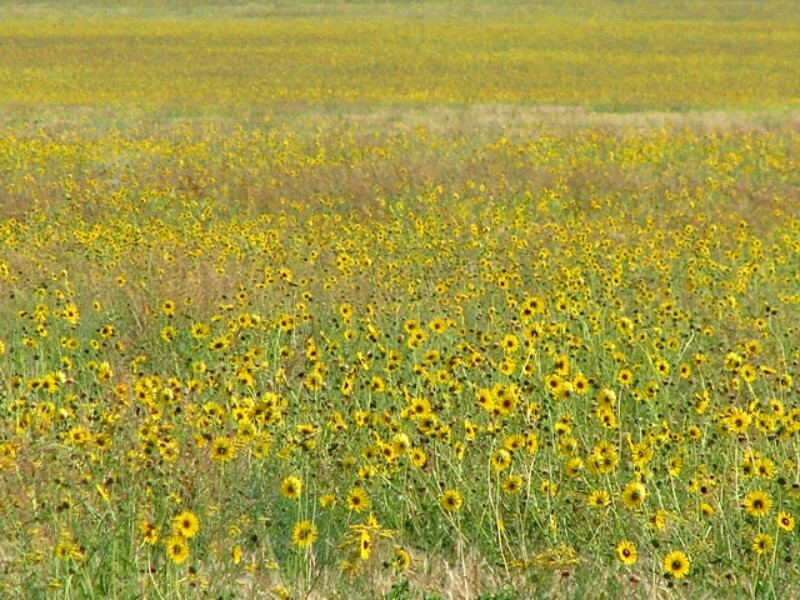 It grows in the clay soils of playas and draws on the Llano Estacado, but no where else. 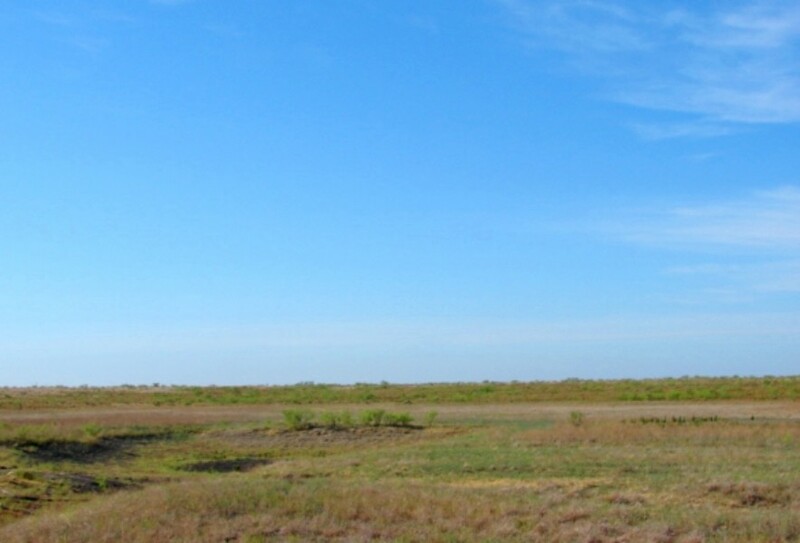 At the southeast corner of Shafter Lake (5 miles northwest of Andrews) the highway department has a pullout with an historical marker. Most of the lake is visible from the pull out, and for such a dry year, a surprising amount of water remained in the lake. The boulders were placed by the highway department to prevent a careless driver from plunging down the hill to the lake. Hidden nearby is a geocache. 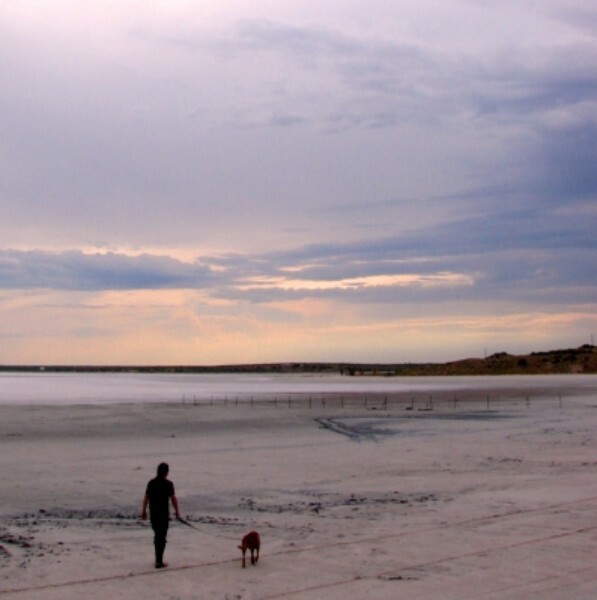 This is a classic walking on the beach scene - but in west Texas! 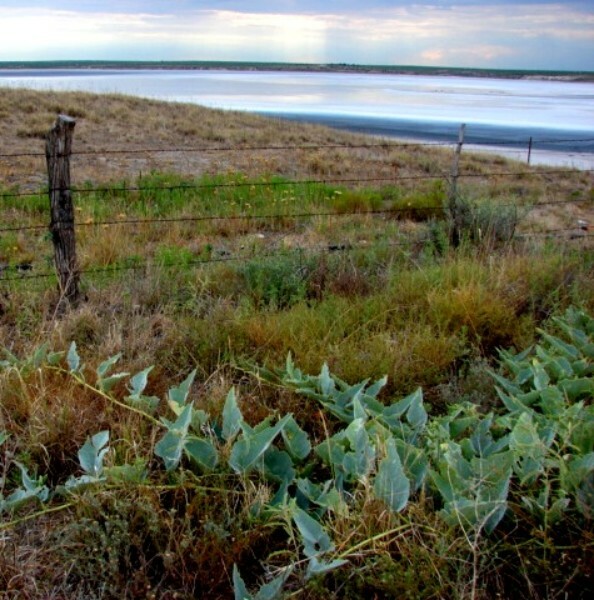 Along the shore of the lake are salt tolerant plants such as pickleweed and saltbush. After a rain, little creatures are washed into the lake and drown, and then the salt encrusted bodies wash up on the shore. The edge of the lake can be driven on by a 4-wheel drive vehicle, but if a driver goes near the water, it gets stuck, and stuck badly. 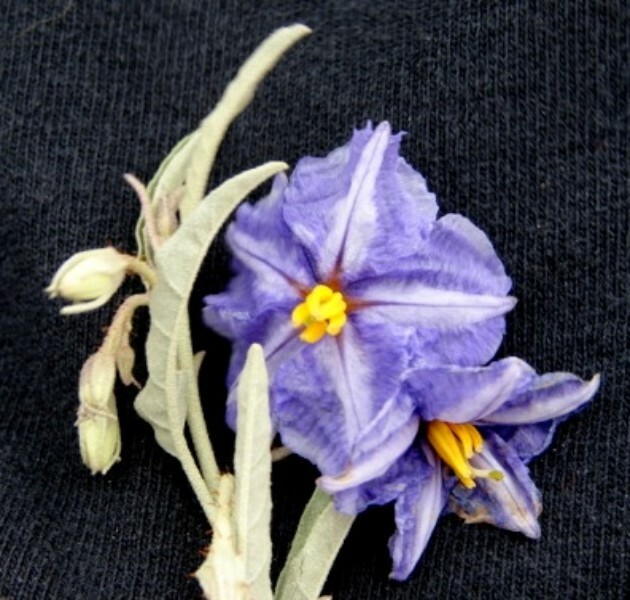 Seen here is a bicolored purple nightshade. 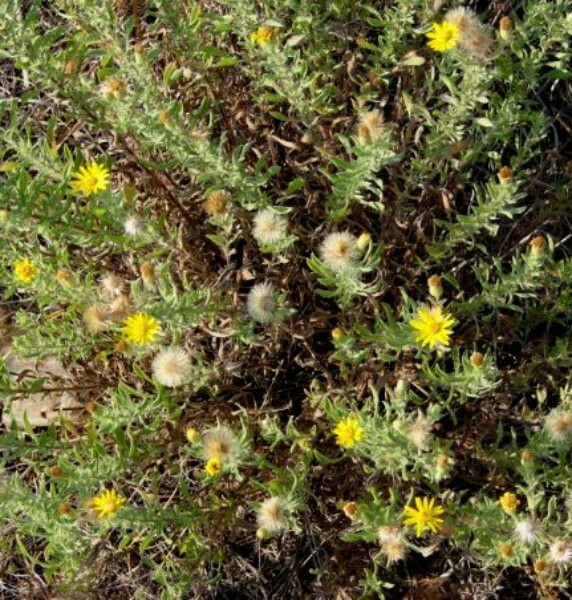 Golden Aster will grow in a number of different habitats, including the "loess" soil blown out of the lake. 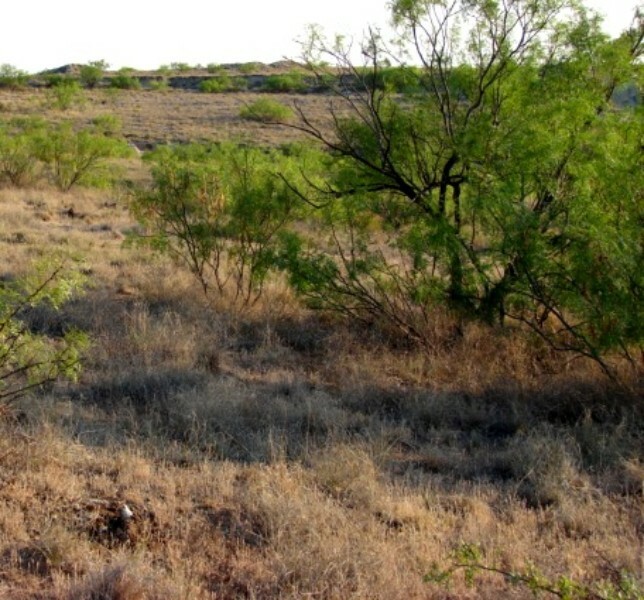 In the search for the cemetery, the road wandered through mesquite pasture land. From a distance, a pioneer on horseback would have been excited to spot a large body of water in the distance.